“You’re going to be heading into a stressful situation and helping people who are even more stressed. This is a seven-day-a-week assignment, and your days won’t end at 5 p.m. You all have been selected for deployment because of your expertise, and we are asking that you leave for Houston on Wednesday. Will you be able to do that?” asked Maria Vorel, senior vice-president, Disaster Operations, Catholic Charities USA. Vorel was addressing a group of Catholic Charities staff from across the nation by conference call. Participating on the call was Jose Sanchez of Catholic Charities, Diocese of Camden. Without hesitation, he replied, “Yes,” as he continued to write down notes about the details of his deployment. It was the afternoon of Monday, Sept. 11, and departure was two days away. With his extensive experience in disaster case management, Sanchez was a natural choice for emergency response to the recent devastation in Houston caused by Hurricane Harvey. Other deployments for Sanchez have included to Mississippi following Hurricane Katrina and Louisiana after Hurricane Rita, among others. While assignment of specific responsibilities often does not occur until arrival in the affected areas, Sanchez typically takes on roles such as logistical coordination of volunteers, food pantries, supplies and donations. 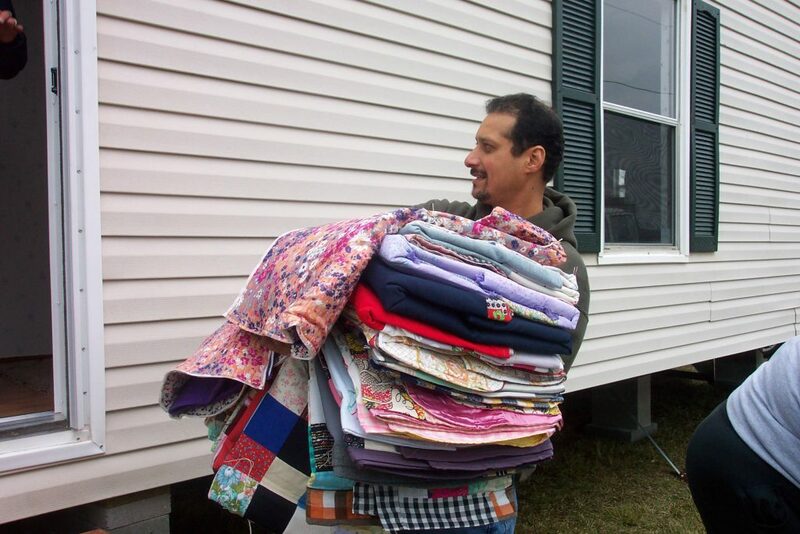 Sometimes he’s called on for hands-on work such as cleaning and gutting of houses, and providing relief to local parishes and Catholic Charities agencies whose staff themselves have often been personally affected by the disaster. “You need to be prepared for everything. No matter what the day brings,” explains Sanchez. He is sensitive to the trauma experienced by those who have lost everything, often in a matter of hours. When not responding to natural disasters around the country, Sanchez applies his organizational skills to those facing various crises and major life transitions locally. He oversees a warehouse full of furniture and donated items for Catholic Charities clients — veterans, immigrants, newly employed — trying to set up their households often for the first time. 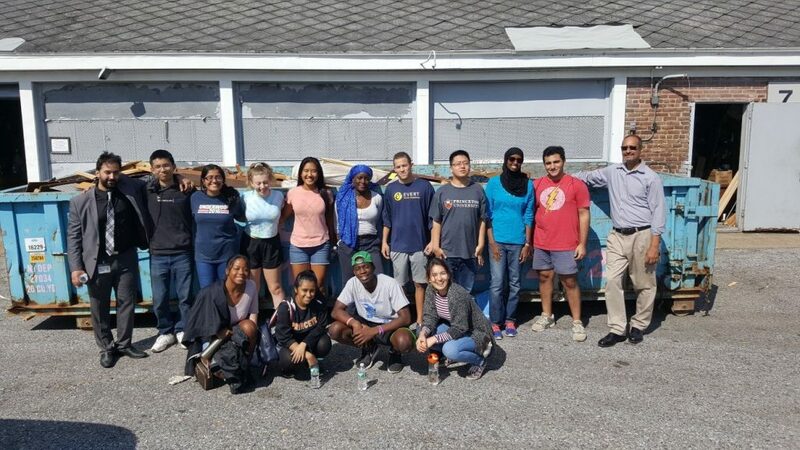 Jose Sanchez (far right) with a group of volunteers from Princeton University’s Office of Religious Life at Catholic Charities’ community warehouse. Another Catholic Charities staff member who is likely to be deployed soon is Rohan Allen. Reflecting on his prior experience in disaster response, Allen provided insight into the complicated processes of both short-term and long-term recovery efforts. After short term needs are met, the extended process of long term recovery starts. 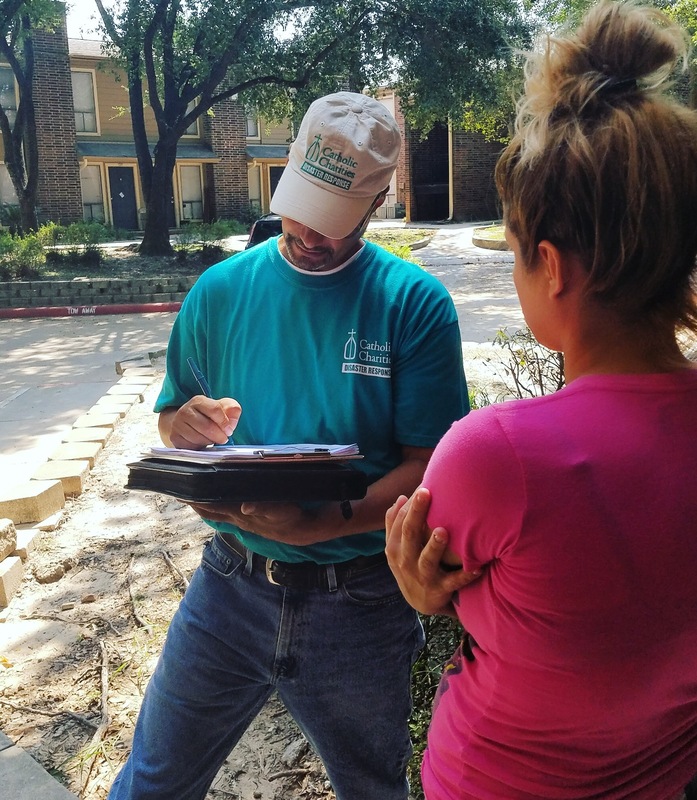 Catholic Charities team members provide trauma counseling and help local agencies set up long term recovery systems to function after outside relief agencies leave. The recovery process for Hurricanes Harvey and Irma will take months and even years for many. Needs will change with time. As in past disasters, Catholic Charities will remain a presence in affected communities until both local recovery agencies and individuals are back on their feet and self-sufficient once again. To donate: Text CCUSADISASTER to 71777, Call 1-800-919-9338, or visit www.CatholicCharitiesCamden.org/disaster-relief for more information.